Home » Light Pollution » Night Sky Data to the People! As streetlights the world over change from sodium lamps to LED, scientists wonder what this means for night skies. 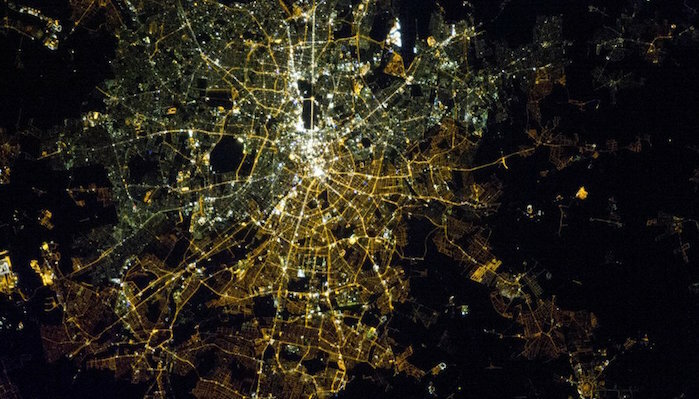 Because all cities don’t light the same way, the best way to understand whether skies worldwide are getting brighter or darker is to study the observations of citizen scientists. The new project “Myskyatnight,” led by the GFZ German Research Centre for Geosciences (GFZ) and the Leibniz-Institute of Freshwater Ecology and Inland Fisheries (IGB), invites interested people from all over the world to examine changes in their night sky. This new the new web-based platform makes all data available to the public, and offers tools to visualize and analyze the measurements. Christopher Kyba, an IDA board member and light pollution researcher at the GFZ and IGB, started the “Loss of the Night” app project in 2013. By determining the number of visible stars in the night sky, the app (available for both Android devices and iPhones) allows citizen scientists from around the world to send in their observations of night sky brightness. This research cannot be done with satellites, because they measure the light emitted upward, not the light experienced on the ground by humans and other living creatures. A further complication is that the current satellites are not sensitive to the blue part of the visible spectrum. So far, only professional scientists have analyzed the skyglow data taken by citizen scientists. Kyba wants to change that by putting the data – and the tools to analyze it – back into the hands of the public. Together with the company Interactive Scape GmbH in Berlin, Kyba developed the web-based application myskyatnight.com. The data from the “Loss of the Night” app and two other citizen science projects, including Globe at Night, are freely available on the website. 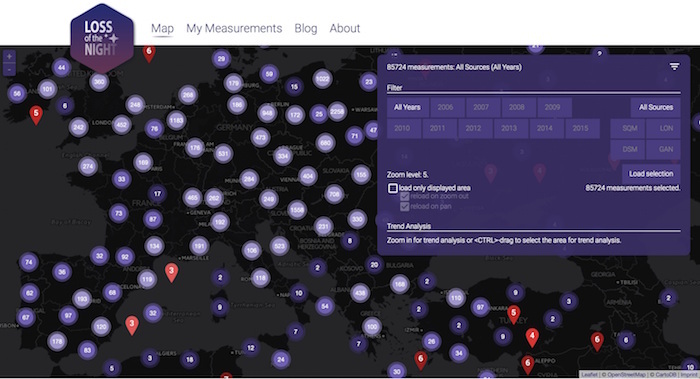 Citizen scientists can easily navigate, view, and download the data, and perform their own analyses directly on the site. Users of the “Loss of the Night” app can also create profiles to easily view their own data. Kyba hopes that giving citizen scientists access to this data will increase their motivation to participate in gathering data. “With the new web application, it’s easy to see that the best results come when citizen scientists make multiple observations from the same location each year,” he said. The project was funded by the European Commission within the MYGEOSS program, which aims to develop smart Internet applications informing European citizens on the changes affecting their local environment.